At Lux, our team is our greatest asset. We know that happy employees deliver better work for our clients, so we make our team a priority. Plus, who doesn’t want to work in a fun environment?! We are delighted to be nominated for the Small Business BC’s Best Employer Award. This award recognizes a business that goes above and beyond for their employees and provides the best overall place to work. The first round is a public vote; the top 10 determined by votes go on to a panel of judges, and we need your help. Read our Top 10 reasons why Lux should be in the Top 10. If you agree, please vote for us! Based on our 2018 annual employee survey, 100% of our employees say they feel valued here at Lux. They also say that Lux gives them opportunities and an environment to flourish, and that they have the opportunity to do what they do best every day. We take breaks together. 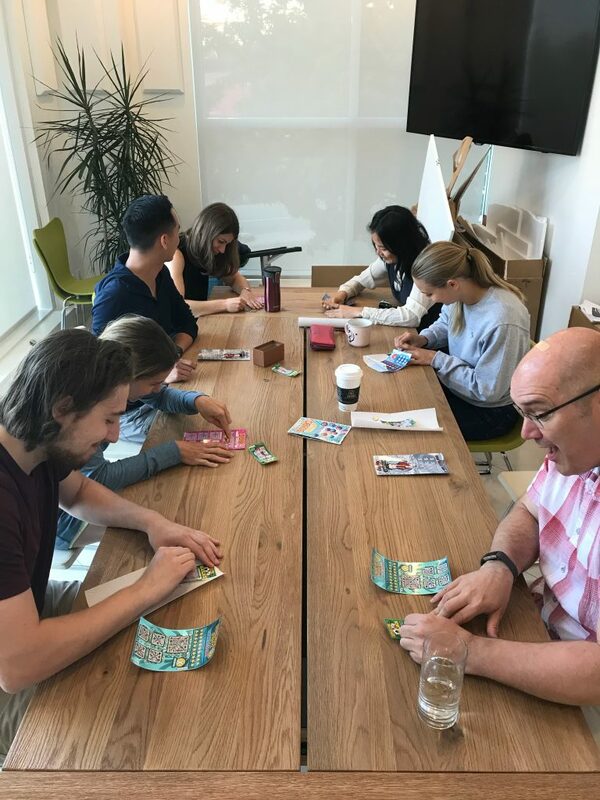 Since our whole team eats lunch together almost every day, we can usually predict what someone will bring from home or order (ask us about one another’s’ allergies or food preferences)! In addition, to overcome the mid-afternoon slumps, we have recess: a 15-minute break where we just hang out, laugh, stretch, and eat snacks. We celebrate our successes as a team every year. 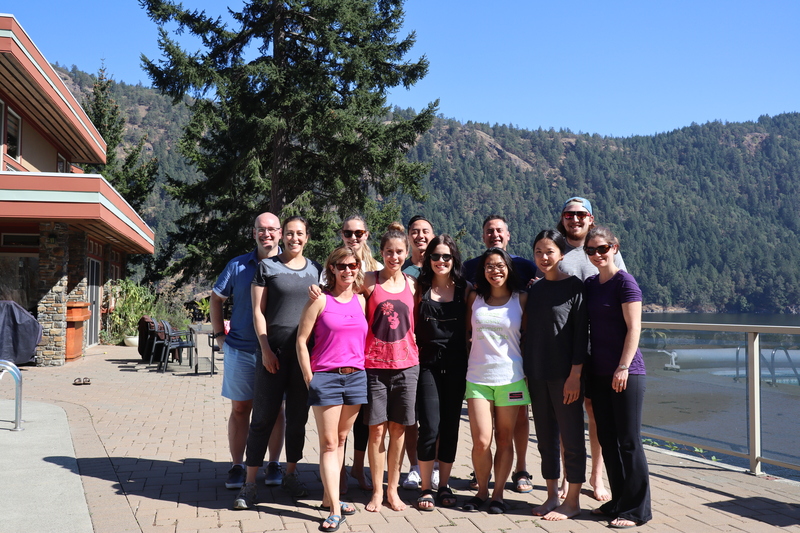 An annual out-of-town retreat gives us time to hang out and bond, as well as align on the company’s performance and strategy going forward. 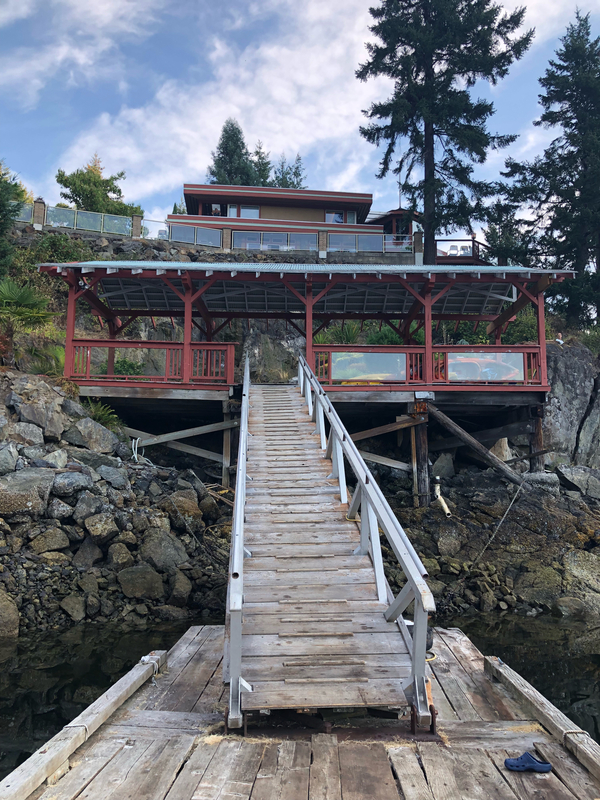 We’ve held retreats on Pender Island, Qualicum Beach, Malahat, Bowen Island and Whistler to name a few. As a team, we recognize the importance of celebrating together. Our Wheel of Fortune-style spin wheel helps us celebrate special moments such as promotions, working with a new client, and winning a competitive bid. We recognize how important it is to foster talent in our people, inspire, and innovate. Our professional development budget equates to ~$3,750 per person this year. We regularly support attending large industry conferences such as the QRCA and TMRE, as well as local events with the Greater Vancouver Board of Trade, BCAMA and more. We recognize the importance of giving back and contributing to the community. We are partners with G Day, an incredible charity which celebrates girls’ transition into adolescence. Earlier this year, we sponsored 10 girls and their adult companions to attend the North Shore event. All our staff volunteered at the inspiring day-long event too! In addition to G Day, Luxians have individual Give Back Days: a day where we can volunteer with an organization/cause of our choice. We believe that flourishing starts from within. To support this, all Luxians have $250 per year (our “Flourishing Fund”) to put towards something that helps them flourish – this could be anything! 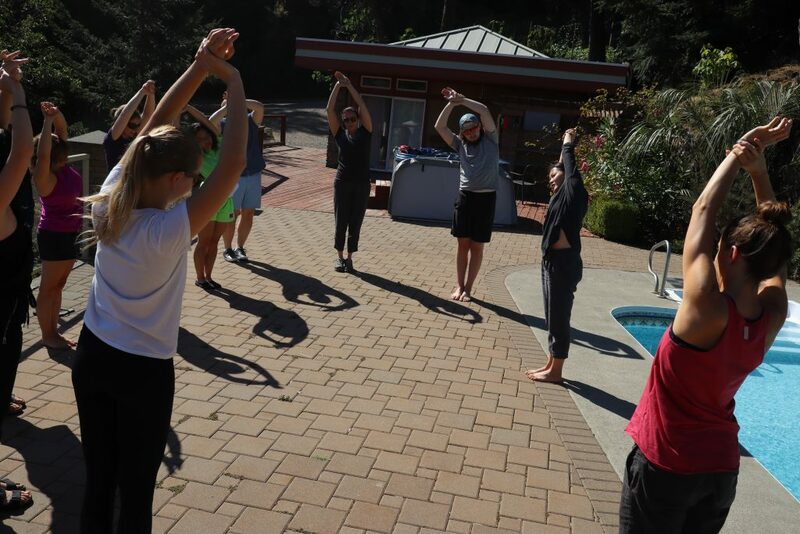 From learning new languages, exploring new physical activities and more, we recognize the importance of supporting passions, outside of work. We strongly believe in work-life balance. All employees start with 3-weeks of vacation, have flexibility telecommuting, a weekly Self-Care Hour, Winter Work From Anywhere, Summer Flex Days, Half-Day Birthdays and options for attending meditation retreats and taking sabbaticals (to name a few). Based on our 2018 annual employee survey, three-quarters of our employees characterize their relationship with their line manager as “amazing”. And, when asked to describe our culture, the two most common mentions were “supportive” and “caring”. We love our team – four legs and all! 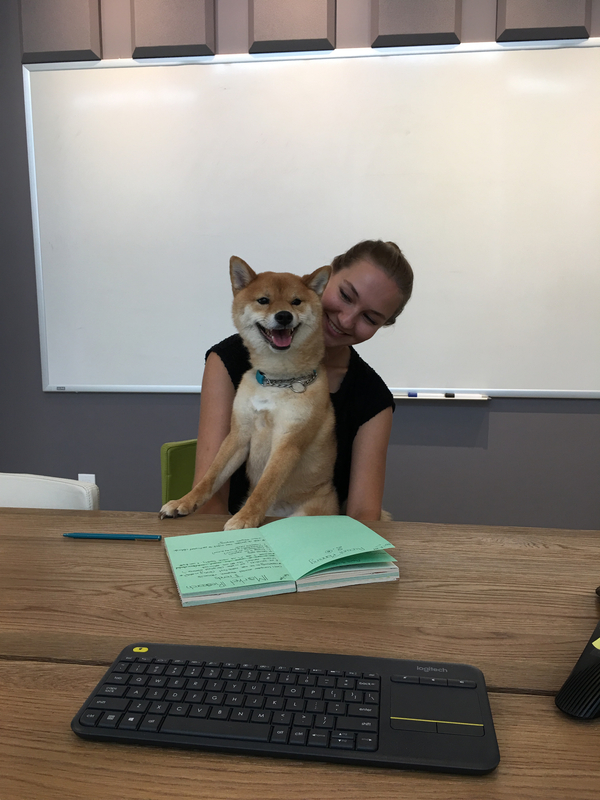 Come by, say hi and get warmly welcomed by us and Kiba – our very beloved office dog. 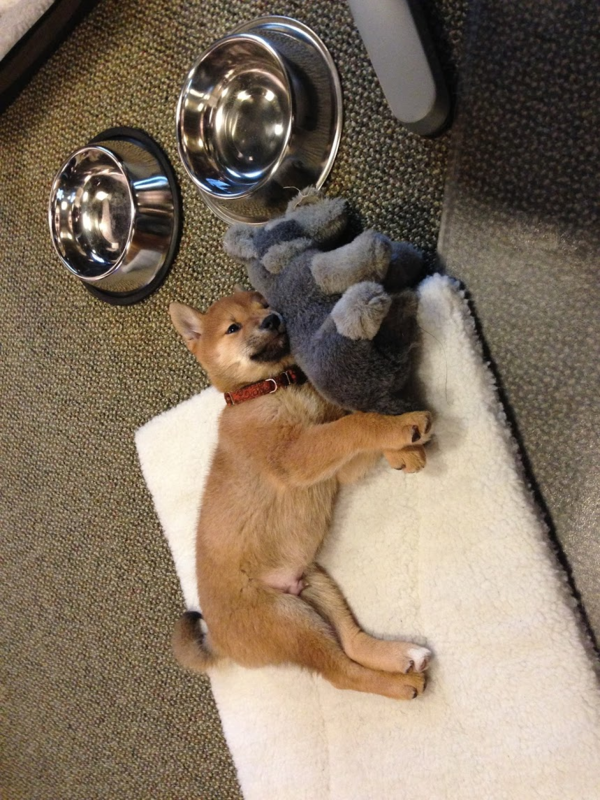 Since he was a puppy, Kiba has been a key part of the team. He even has a bio on our website! We’re always looking for new ideas to foster flourishing, so if your workplace has a cool initiative you’d like to share with us, we are all ears. If you agree that we should be in the top 10 for the Small Business BC’s Best Employer Award, please vote for us!